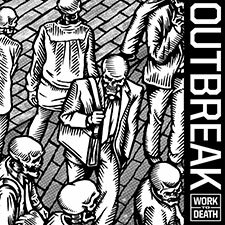 Limited edition vinyl – 2 demo versions of Outbreak’s upcoming 2009 full length album. This rips and I’ll be tracking down the new LP for sure. While they’ve grown musically and lyrically, the offsetting youthful vigor has helped them maintain a level of rawness that most bands would have lost after six years of touring and putting out records.